rec. 1. Studio 2, Radiohuset, Stockholm, 26 February 2004; 2. Theatre, University of Uppsala, 25 November 2004; 3. Studio 2, Radiohuset, Stockholm, 18 January 2004; 4. Studio 2, Radiohuset, Stockholm, 3 May 2004; 5. Theatre, University of Uppsala, 24 April 2004; 6. Studio 2, Radiohuset, Stockholm, 26 February 2004; 7. Theatre, University of Uppsala, 26 March 2004; 8, 9. Recorded live, Theatre, University of Uppsala, 22 May 1986. 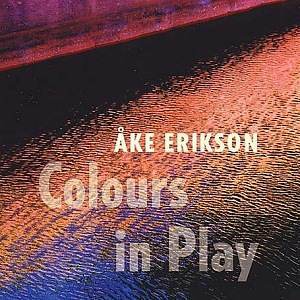 �ke Erikson became known in Sweden in the 1960s and 1970s as a radical composer and pianist, becoming involved in the organisation of, and composing for the Uppsala League and �Fylkingen�, societies which concentrated on new music. He worked as a jazz pianist in his early career and has made a great number of arrangements of jazz music, but this influence barely shows in the works in this collection. This is an album of serious, substantial and well-crafted work, which will prove a great deal more attractive to a wider public than several other issues one might encounter on the Phono Suecia label. The opening �Fanfare� is compact and concise, and is apparently played every summer from the towers of the Cathedral of Uppsala. �Straight Out� was commissioned by the Linn� Quintet, and is by turns sonorous and moody; rhythmic and punchy. Both of these pieces are well played, and I like the Linn�s rounded tone. �Where Heaven and Sea Command� is for a cappella choir, and was awarded first prize at a choral competition in Pardubice. The piece makes use of vocal layering, building tidal movements of sound while the text, from poems by Elisabet Hermodsson, is sometimes stretched beyond comprehension. This is highly effective choral writing which reminds me a little of the Estonian �sound�: moving, shifting tonalities, a reluctance to overdo modernist �special effects� but nonetheless creating a superbly fresh and �new� sounding piece. The Academy Chamber Choir re-appears in �Creation Betrayed�, this time from within the substantial orchestral context of what the booklet describes as a �grandiose ecological oratorio�. This is part of a series of works using texts by Hermodsson, and Eriskon has been inspired to create an atmospheric, dramatic evocation of the Creation, with grimly knocking percussion, low strings and clusters, and the added colours of harp and piano. The second part, �Re-paration�, starts with a faux-naif children�s choir singing over a sub-Faur� orchestral accompaniment. Spoken texts in Swedish usher in a return to some of the stresses and tensions of the �Creation� movement, and there are some beautifully lyrical moments. Fortunately, all texts are translated into English. As a live performance this lets the side down a little as regards comparison with the quality of the other recordings, and as a composition it is a good deal less structurally tight and logical than most of the other pieces on this disc. In spite of out-of-tune pianos and one or two dodgy choral moments there is however a great deal to discover here. �Rain forest� is said by the composer to build largely on his own associations with the sounds of nature. The piano is indeed used to rumble over a fairly serial sounding series of note patterns, later bursting out in extremes of range, but not making a huge impression. �Colours in Play� for wind ensemble is more memorable, including some fun Bernsteinesque rhythms. There is a strange contrast between the banality of some of Erikson�s material, and the energetic expressiveness of other moments. It is an eclectic mix, but not an unattractive one. In many ways the central work on this disc is �Play� for orchestra. Orchestral mood and gesture appear in a number of guises, sometimes treading a fine line between hackneyed film-music stereotype, but always maintaining an edge-of-the-seat pitch of creative movement, building expectation and wrong-footing the listener at the same time.